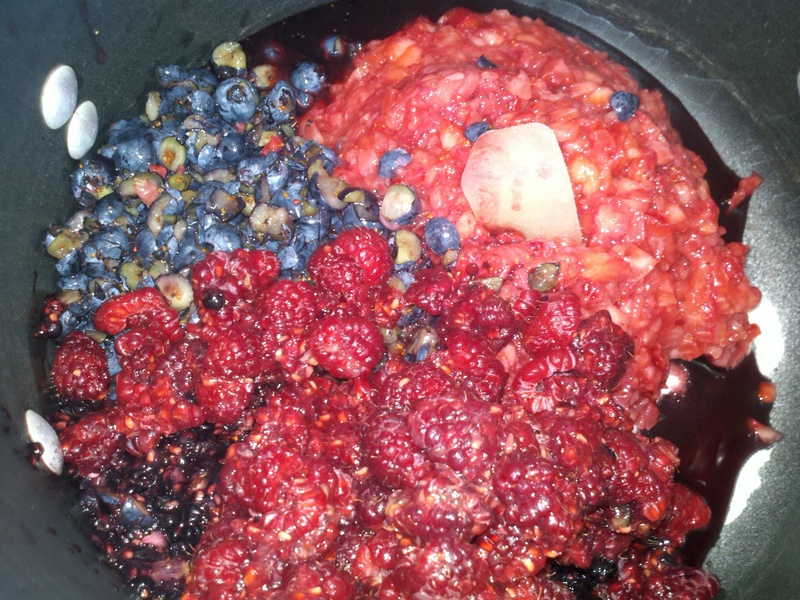 You can see all the berries, with the white pectin underneath. You may also notice the ice cube – it’s actually my lemon juice. I squeeze it ahead and freeze it into cubes. I find it easier in this process to just grab a cube from the freezer than squeeze more fresh lemon.